Clayton Kershaw makes his way back onto the mound. On Jackie Robinson Day, everybody involved will be wearing Robinson's number 42 to honour a great of the game and the civil rights movement. Ben Steele previews tonight's action. "The seven-time All-Star will be pleased to see that he is facing a Cincinnati Reds lineup who have been relatively anaemic in 2019. Kershaw will benefit from a Dodgers batting group that, led by Cody Bellinger, is one of the best in the league"
Aaron Nola and the Philadelphia Phillies host Noah Syndergaard and the New York Mets on Monday night with both pitchers coming off mixed starts to their season. Nola is 1-0 but surrendered a five-run lead last week against the Washington Nationals before being pulled while Syndergaard has swung between the exceptional and the ordinary in his three starts this term. Offensively, a pair of first baseman will go head to head. The exciting rookie Pete Alonso, who leads the Mets in both home runs and RBIs, will hope to outperform Rhys Hoskins, who comes in to the game hitting .444 against Syndergaard. With the two pitchers facing a pair of top 10 offensive units, look for a high scoring game in Philadelphia. The Toronto Blue Jays season has started poorly, with the main storyline around the team being when Vlad Guerrero Jr will make his hotly anticipated Major League debut. Tonight's starter, Matt Shoemaker has been the only real bright spot for Toronto, his three wins account for 60% of Toronto's wins this season and with an ERA of 0.92 he has been in exceptional form. Shoemaker will face Martin Perez, a 28-year-old Venezuelan who is making his first start for the Minnesota Twins. Perez started the season in the Twins' bullpen and has done just about enough to win a starting spot but I expect the Blue Jays' ace to have too much for him tonight. A game where both pitchers will be looking to recover from terrible starts to the season. Heath Fillmyer of the Kansas City Royals pitched just three winnings in his 2019 debut, giving up five runs on six hits while his opposite number, Ervin Santana was even worse in his first start for the Chicago White Sox. Santana, who gave up seven runs in 3.2 innings last week, is searching for his 150th career win against a familiar opponent. He has faced the Royals 26 times, picking up seven wins (10 losses, nine no decisions) and his experience should give him the edge tonight, however the best bet looks to be in the runs market. I'm taking the overs. 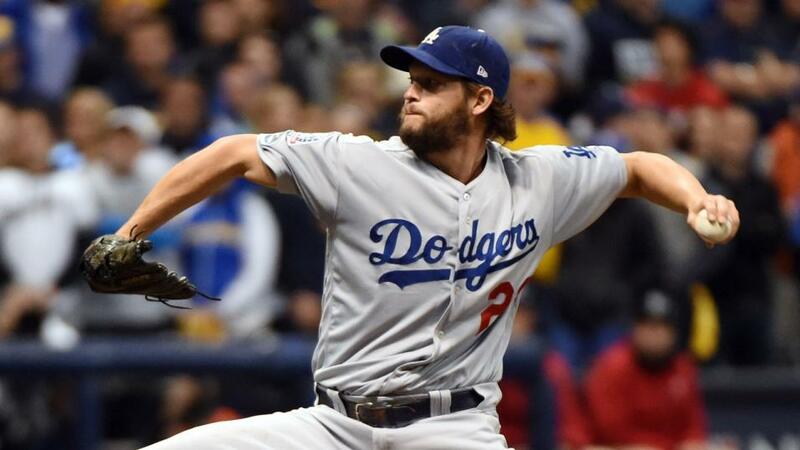 The Los Angeles Dodgers are 9-8 but just one of their wins has come against a team with a winning record, last night's 7-1 over Milwaukee Brewers. Manager Dave Roberts will finally be able to turn to one of LA's most dependable stars, Clayton Kershaw after an injury layoff. The seven-time All-Star will be pleased to see that he is facing a Cincinnati Reds lineup who have been relatively anaemic in 2019. Kershaw will benefit from a Dodgers batting group that, led by Cody Bellinger, is one of the best in the league and facing the best pitcher the Reds have on their roster, Luis Castillo, they will have to be at their best to put up any runs. Expect a tight game, with Kershaw and Castillo keeping the score down.